When someone mentions a workplace injury, people often imagine some kind of awful industrial accident involving heavy equipment that results in a severe injury or even death. 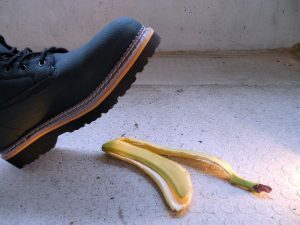 While those kinds of accidents do happen, there is a broad spectrum of injuries that can occur in the workplace. It’s important to note that if you’re injured on the job, you may be entitled to compensation, no matter what the injury. 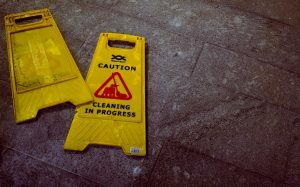 In this post, we want to call your attention to some of the most common workplace injuries that people tend to overlook. Repetitive motion injuries (RMIs, for short, but also known as “repetitive strain injuries”) are injuries that arise from actions that are repeated hundreds of times throughout the day or week. An obvious example is working at a computer all day, resulting in carpal tunnel syndrome, deteriorating vision, and muscle strains in your back and neck. However, RMIs are not limited to desk jobs – any motion that is repeated over and over can eventually harm the joints, tendons, and ligaments. I Got Injured at Work – Now What? According to the Department of Labor, there were 2.9 million nonfatal workplace injuries in 2016. Of course, this includes those cases that may not affect the worker’s ability to continue working. But what if your injury forces you to take time off? You have bills to pay, and you need to buy groceries, but you also need to recover from your injury. What do you do? Workers’ Compensation is basically insurance carried by an employer that makes it relatively easy for an employee to get compensated if they were injured at work or made ill by their employment. An injured worker may be entitled to workers’ compensation regardless of whether his employer is at fault for the accident. Generally speaking, workers’ compensation is an alternative to suing your employer for your injuries. A group of first responders who were exposed to smoke from the Crosby, Texas, chemical plant that exploded in the wake of Hurricane Harvey is suing the owner of the plant for over $1 million, alleging that fumes from the smoke caused them to vomit and gasp for air after exposure. The responders argue in their suit that the plant’s owner, Arkema, minimized the true extent of the danger of exposure to the fire. They also claim that Arkema failed to warn the responders manning the perimeter of the mandatory 1.5-mile evacuation area to move farther away from the fumes. The lawsuit claims that “immediately upon being exposed to the fumes from the explosion, and one by one, the police officers and first responders began to fall ill in the middle of the road.” The suit also alleges that some police officers, unable to abandon their vehicles with weapons in them, drove themselves to the nearest hospital. Other responders were taken by ambulance. In the summer of 2009, a man walked into an Old Navy store in downtown Chicago where his girlfriend worked, pulled out a gun, shot her to death, and then killed himself. Police called the incident a “domestic dispute.” Not only did Old Navy have to deal with the public relations nightmare the incident caused, the family of the murdered employee soon filed a lawsuit against the company. The suit alleges that the shooting could have been prevented and that store management knew of threats against the employee and failed to act. It also alleged that the store’s security measures were outdated because the boyfriend was able to enter the store through a private employee entrance and then gain access to a restricted employee area, where he committed the murder-suicide. Incidents of workplace violence such as this one have become an increasingly problematic phenomenon in recent decades. According the bureau of Labor Statistics, 11,613 people were killed between 1992 and 2006 in incidents of workplace violence. On average, 1.7 million people are victims of violent crime while working or on duty in the United States every year, according to the Bureau of Justice Statistics. The National Institute for Occupational Safety and Health (NIOSH) defines workplace violence as “any physical assault, threatening behavior, or verbal abuse occurring in the work setting.” The workplace can be any location “where an employee performs any work-related duty.” This includes buildings, parking lots, clients’ homes, and travel to and from work assignments.While it would seem that the blame for workplace violence would most naturally fall on the perpetrators, employers also face various legal liabilities when their employees or customers are victims. There are several methods by which an employer can be held liable for incidents of workplace violence, outlined below. ExxonMobil Corp. has been fined $165,000 by federal regulators for safety violations over an explosion that occurred in 2016 at a large oil refinery in Baton Rouge, Louisiana. The United States Occupational Safety and Health Administration (OSHA) issued a total of nine citations, including citations for inadequate training and equipment maintenance at the aging facility. Exxon has stated that it is contesting OSHA’s most recent findings and the fines the agency imposed. The facility in question is an alkylation unit that makes octane-boosting components for gasoline. The explosion occurred on November 22, 2016, when a worker removed the cover of a malfunctioning valve on an isobutane line and used a wrench to turn the valve system. As the operator turned the valve system, portions of the valve fell out, releasing isobutane and igniting a welding machine 70 feet away. As a result of the explosion, one worker was knocked off a scaffold and left dangling over the fire, while another worker was burned over most of her body. In total, four workers were injured, two of them severely.